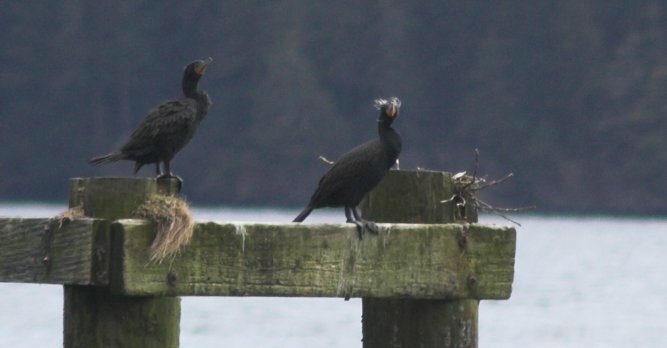 Double-crested Cormorants are fairly common around Sitka fall through spring, but they are not generally seen in the summer. In winter plumage, the birds have no crests. The bird on the right was one of the first birds I had seen that showed the feather crests.